Sixteen-year-old Rubric loves her pampered life in the Academy dormitory. She's dating Salmon Jo, a brilliant and unpredictable girl. In their all-female world, non-human slaves called Klons do all the work. But when Rubric and Salmon Jo break into the laboratory where human and Klon babies are grown in vats, they uncover a terrifying secret that tears their idyllic world apart. Their friends won't believe them, and their teachers won't help them. The Doctors who rule Society want to silence Rubric and Salmon Jo. The two girls must flee for their lives. As they face the unthinkable, the only thing they have left to believe in is their love for each other. 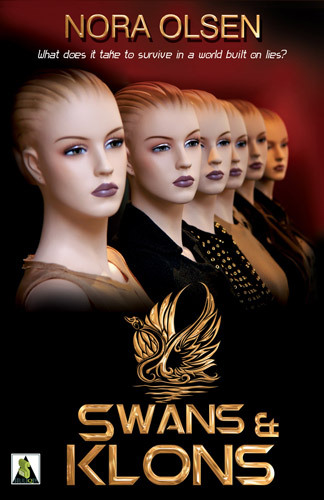 Add your review of "Swans and Klons" in comments!